Force Friday is the most awkward sounding name... ever... But, it's Disney's way of making a Star Wars-centric Black Friday without any of the discounts. New toys and collectibles have just been released today for the upcoming Star Wars: The Force Awakens, which doesn't open for 3 months! I guess they're trying to avoid the toy shortages of 1977. Anyway, here are some of the things that I'm most interested in. If you missed the Millennium Falcon LEGO set the first time it came around, here's your second chance. It's a beautiful looking piece that's 18 inches long and 12 inches wide so there's plenty of room for the 7 figures it comes with. You've got old Han & Chewie, newcomers Finn & Rey, a couple of bad guys and even a little BB-8 droid. You can order the set on Amazon for $150. I have my fair share of these bobbleheads. From Ghostbusters to the Ninja Turtles to the Guardians of the Galaxy. But I actually have NO Star Wars Funko figures. It might be time to start, although I do sense a lack of Han Solo here. These should be available wherever Funko figures are sold for about $9-12. 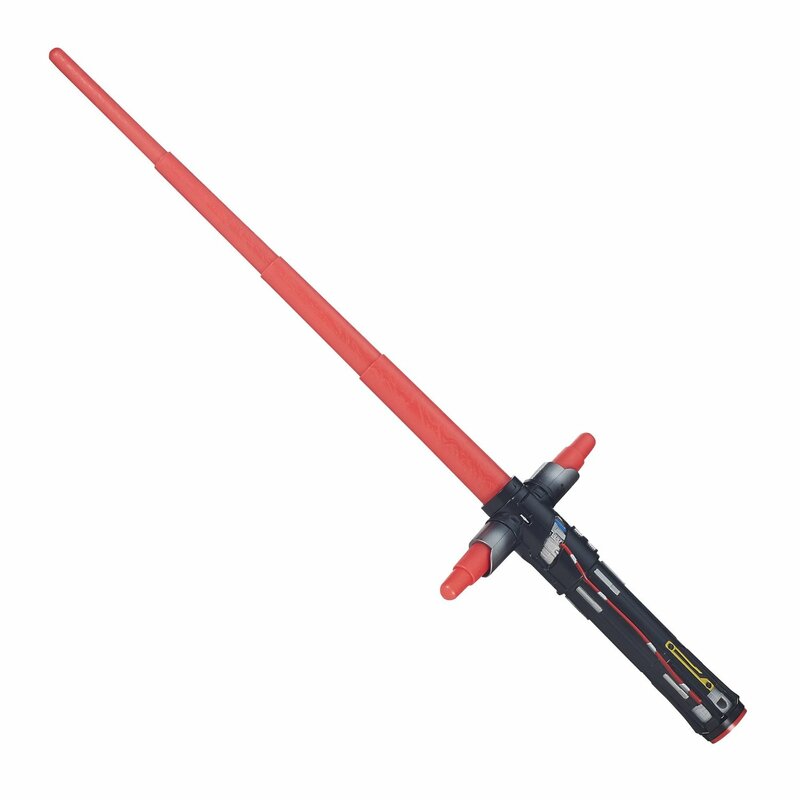 Apparently the Empire has used these for decades because if you've ever fired a Nerf gun, you'll know they DO NOT fire straight. No wonder the Rebels kept getting away! 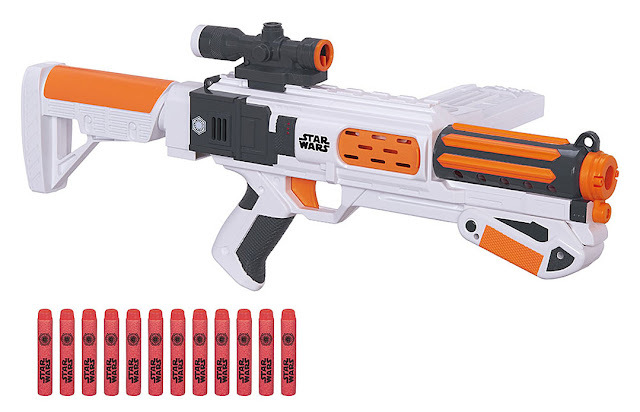 The gun comes with a 12 dart clip and can fire up to 65 feet. You can pick one up on Amazon for $40. Now you can traipse through the snow with your black bathrobe on and reenact one of the most talked about scenes in Star Wars history, and the movie hasn't even come out yet! Mind you, this isn't the replica quality that I like. It doesn't even make sounds, but for $13, can you really complain? As Bruce Wayne would ask, "Does it come in black?" 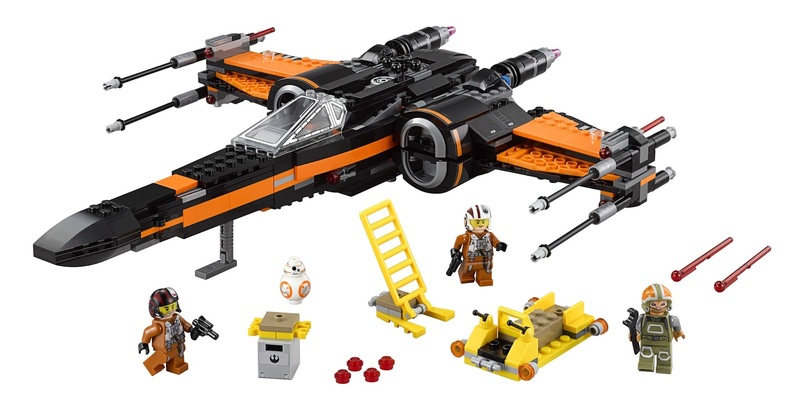 Poe Dameron's X-Wing looks sleek and stealthy with the black replacing the white. 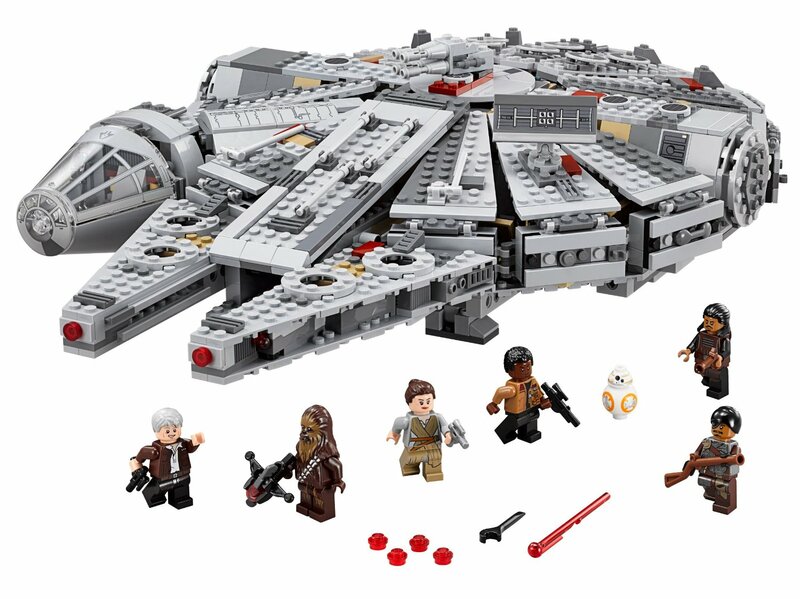 The wings open and you get 4 figures, including another BB-8! The set retails for $79 on Amazon. You've probably already seen video of this little guy as he was announced yesterday, but I cannot stress just how much I want it. Take my money, now! You can control BB-8 remotely through your phone or you can just let it wander around your house like a super cute robotic cat. Plus there's a "hologram" feature which is really just augmented reality through your phone or tablet, but still, it's kinda cool! This kind of cuteness doesn't run cheap. The Sphero BB-8 droid is $150, but is that price not worth not having to clean up after a pet? 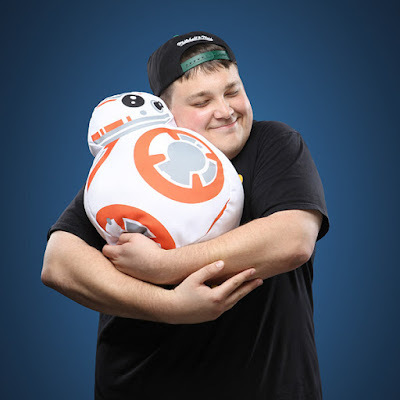 Okay, if you can't afford the Sphero BB-8 droid, the next best thing is a BB-8 you can hug. And this throw pillow from ThinkGeek fills that need. Sure he doesn't roll around the house and you can't give it commands, but he's soft, huggable, and this guy sure seems to enjoy him. Plus, he's only $20. And now, here's The Force Awakens trailer again, because I know reading all this stuff about Star Wars makes you want to see it again! Star Wars: The Force Awakes hits theaters on December 18th.